The Home Rule Municipality of Aurora, Colorado spreads out over Arapahoe, Adams, and Douglas Counties. Sitting at 5,471’ elevation, Aurora is regarded as the gateway to the Rocky Mountains. The fantastic view and enormous assortment of things to do have enticed nearly 362,000 residents to call the city home. Its agricultural and business history provides a variety of housing that fit every style. What are the top five things that make it one of the state’s top choices to call home? Golf courses are a magnet for professional and amateur lovers of the sport from around the state, nation, and world. Even history buffs enjoy setting foot on the same greens that past presidents and legendary golfers have played. There’s a course for every skill level at public and private courses. Shopping is a pleasure, ranging from exclusive boutiques to typical name-brand stores recognized in a multitude of cities. Isn’t it a worldwide pastime? Cities like London, Paris, San Francisco, and New York certainly think so, and so does Aurora. Encounter the Arapahoe Crossing open shopping mall with an AMC movie theater sharing part of the 460,000-plus acres. Another shopping area, Havana Street, is home to nearly five miles of boutiques, restaurants, stores and more along Havana and 6th. It’s common to see happy buyers take and send pictures of the impressive area and unusual finds. The Great Sand Dunes National Park, Rocky Mountain National Park, and an assortment of ski resorts are close at hand. 12 Miles Stables is a legendary part of Aurora history. A few thousand acres within Cherry Creek State Park provides 27 miles of riding trails for large and small groups of riders. Communities that honor and celebrate their heritage build strong, dedicated citizens. Workshops, tours and family activities take place at the Aurora History Museum throughout the year. Two galleries change exhibits during the year with an emphasis on the area’s past. Architects, engineers and farm buffs make it a point to visit the Delaney Round Barn. Originally a grain silo, it became a two-story cow barn over a century ago and is believed to be the last one in the state. Today it holds an exhibit that tells the story of Aurora’s past dairy farming and agriculture experiences. The final top reason to live in Aurora is there’s always a place for visitors to stay, including name-brand hotels and unique, independent places. Savory cuisine is freshly prepared in dozens of restaurants. It’s a culinary delight that promises a satisfactory meal for every guest. The city is comprised of friends and neighbors celebrating the bright future successfully based on its past. 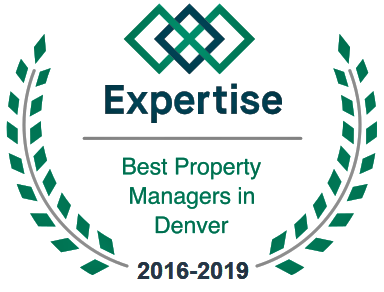 If you’re looking into buying investment property in Aurora, we can help with your property management needs. We’re pro’s at screening tenants and taking care of all the details is our specialty. Our Zero Evictions record is 10 years strong. Here are more reasons to choose Pioneer Property Management.